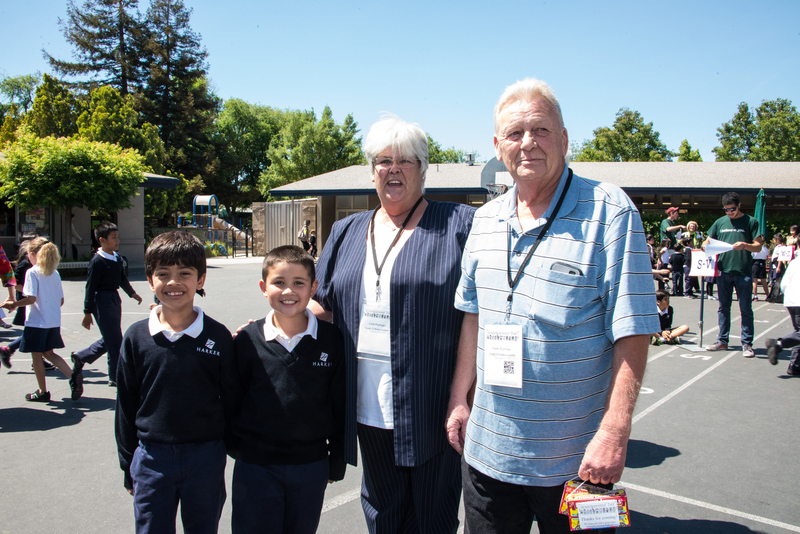 “Grandparents’ Day, held annually, is already a wonderful and long-standing tradition at Harker’s lower school. Now, preschoolers on the Union campus have joined in on the fun!” enthused Andrea Hart, director of Harker Preschool. At the lower school, the event was marked by an elaborate circus theme. During the day, students and their special guests were treated to entertaining demonstrations by an array of circus folks, including hula-hoopers, stilt walkers, jugglers, clowns, balloon artists and face painters. The entertainers walked throughout the lower school campus, interacting with participants. “Our goal was to entertain and also to create awareness about the abuse of circus animals. We had more than 450 visitors,” reported Teré Aceves, director of preschool-5 volunteer programs and event fundraising.